Based in London, Andrew Monaghan is a Senior Research Fellow in the Russia and Eurasia Programme at Chatham House, a Visiting Fellow in the Changing Character of War programme, Pembroke College, Oxford and an Academic Visitor at St Antony’s College, Oxford. How does Russian politics work? Russian politics is characterized by long term continuity – many of the wider leadership team have held senior positions since the late 1990s. Within this continuity, there are two main elements. First is the importance of teamwork, a collective leadership built on networks that bring together the core leadership team with regional and administrative elites. This emphasizes loyalty and effectiveness, but also provides a degree of conformity and solidarity, submerging individual interests into the collective unit and binding individuals together. This also emphasizes burden sharing but also mutual obligation and protection. It also means that there are very few real reshuffles – senior figures are rarely fired. Second is the vertical of power, the “chain of command” through which power is created and plans implemented. This is often problematic, however, and is often somewhat dysfunctional – with the result that plans are not implemented, or are done so only partially or tardily, and responses to crises are slower and less effective than ideal. As a result, the leadership is obliged to resort to what is called “manual control” – in effect micro management – to ensure implementation. How does Putin see Europe? The Russian leadership’s view of Europe is ambiguous. On one hand, there are substantial cultural, political and economic ties between Russia and Europe. On the other, Putin has often criticized European liberal values, as espoused by the EU, suggesting that the Euro-Atlantic countries are rejecting their civilizational roots, and denying moral principles and all traditional entities. 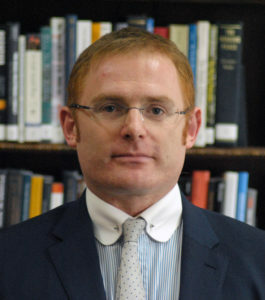 In 2013, for instance, he stated that the Euro-Atlantic path was taking a ‘direct path to degradation and primitivism resulting in a profound demographic and moral crisis’. Worse, he sees them to be trying to export this model, including to Russia – and thus he asserted that he would seek to protect Russia from this influence. When he came to power in 1999, Vladimir Putin was asked whom he trusted, and whose advice he took. He named Sergei Ivanov, Dmitri Medvedev, Nikolai Patrushev and Alexei Kudrin. Fifteen years later, these people still form Putin’s core group and dominate the strategic heights of Russian policy making, occupying respectively the key posts in the presidential administration, government and Russian national security council. There are other important figures, too, who can be considered to be allies, such as Igor Sechin, Gennadiy Timchenko, and Arkadiy Rotenberg, who are trusted to implement major projects. Putin’s goals are two-fold. The first set of goals is to modernize Russia – in a hurry. These goals have been laid out in his May Decrees of 2012, in which he set out plans for modernizing many aspects of Russian life, from administration to health and from housing and utilities to military service conditions. This is an extensive, ambitious agenda with an implementation horizon of 2020. But it is essential, given the poor state of much Russian infrastructure and outdated administrative methods. The second set of goals is to ensure that Russia is an indispensable partner on the international stage, involved in all the major decisions about world affairs. An important aspect of this is to reinforce Russia’s position by building it up as an economic, security and political hub in Eurasia, particularly through creating and strengthening organisations such as the Collective Security Treaty Organisation and the Eurasian Economic Union. What are the top five books on Russian politics? Two of the most interesting books that provide detailed insight into Russian domestic politics while remaining accessible are Alena Ledeneva’s Can Russia Modernise? Sistema, Power Networks and Informal Governance, and Richard Sakwa’s The Crisis of Russian Democracy: The Dual State, Factionalism and the Medvedev Succession. One of the best new books about the history of Russian politics is Sheila Fitzpatrick’s On Stalin’s Team. The Years of Living Dangerously in Soviet Politics. Two of my favourite books about Russian political life come from an earlier era, however, and are Edward Crankshaw’s Russia and the Russians, and Peter Vigor’s The Soviet View of War, Peace and Neutrality, both of which contain much wisdom for understanding Russia, particularly about how different the world looks for Moscow – a crucially important aspect of understanding Russia today. 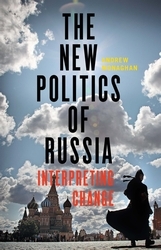 For more insight into Russian Politics, why not listen to a podcast with Andrew Monaghan speaking about his new book, The New Politics of Russia.